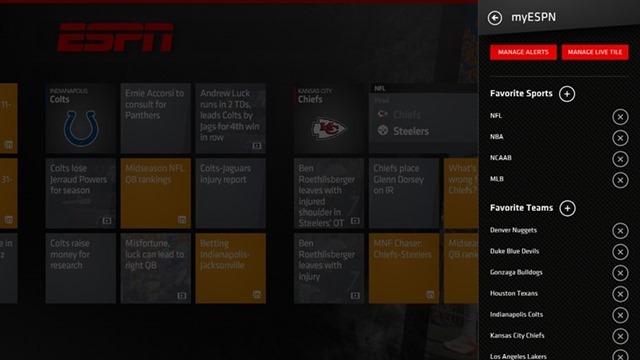 The ESPN app for Windows 8, offered on desktop and tablet, provides sports fans with all the things they love about ESPN in a single place. 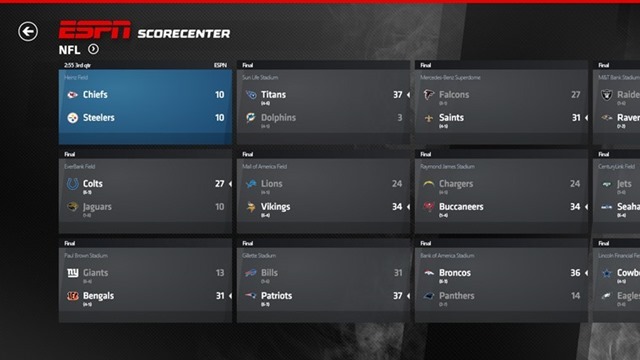 Get up- to- the -minute scores, news, and analysis for all your favorite teams, leagues, and players. 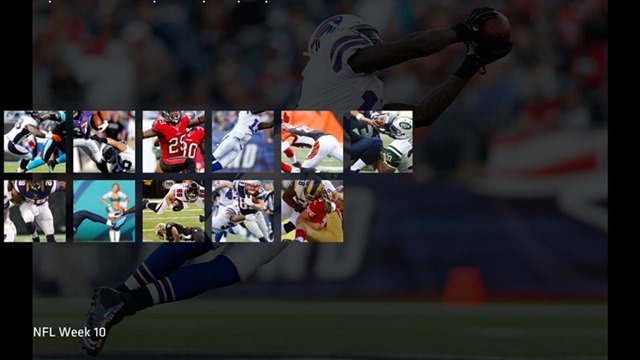 Access rich, in depth content from the leader in sports. 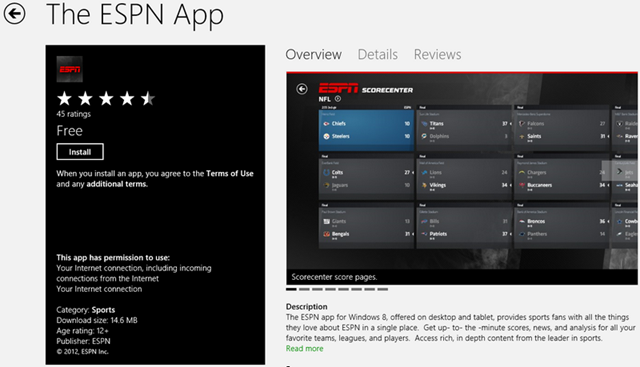 Download the ESPN app for Windows 8 for a deeper sports experience than ever before! Follow breaking news, and get real time scoring alerts and updates through live tiles and deep pinning. 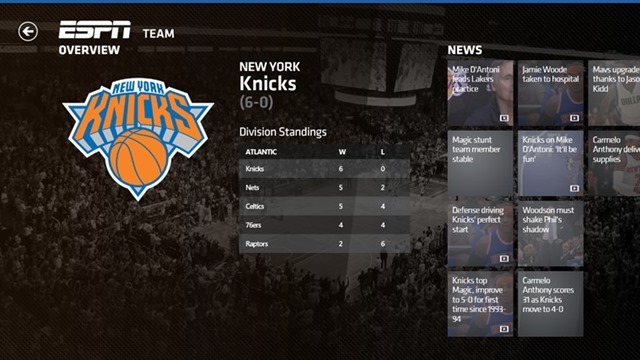 Get expanded game views that provide in-depth game coverage. Listen to your favorite ESPN podcasts including Mike and Mike, PTI with Michael Wilbon and Tony Kornheiser and The BS Report with Bill Simmons. 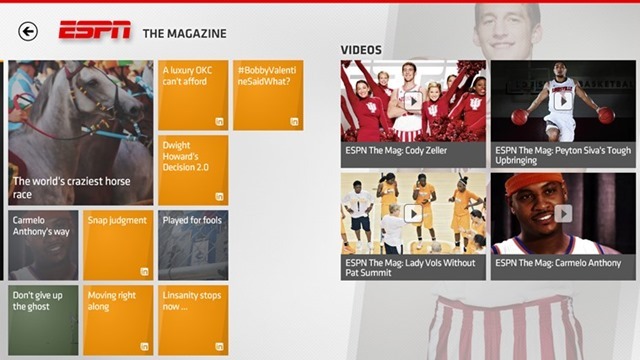 Stay informed with comprehensive editorial content from ESPN The Magazine. Share your favorite news and video highlights with your friends! The App is available for download now, so please go right ahead and download it via the source below. This is a well built app and works very well. Others could learn a lot from the way info is presented and how it moves from item to item. I agree with 100% on your point. This is a test case for those bashing MS that you can’t produce any functional app with Metro design language. It shows that if Devs go the extra 9-yards, then can come back with something awesome. 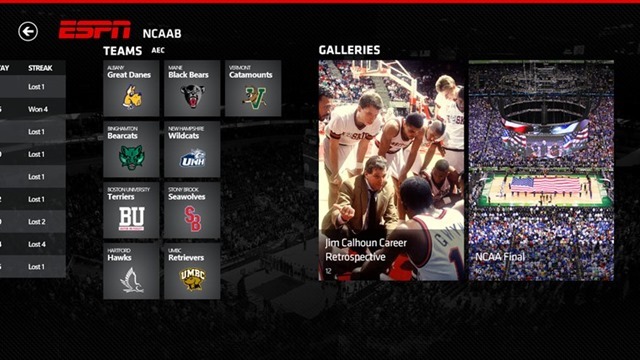 I really, really wish that there would be an ESPN 3 app. I love watching Cricket. US Cable doesn’t offer this. I use the Xbox 360 to stream Cricket matches on the TV, however I DO NOT want to pay the useless Gold fee for the “rights” to pay for Netflix and use otherwise free products, like YouTube and ESPN3. 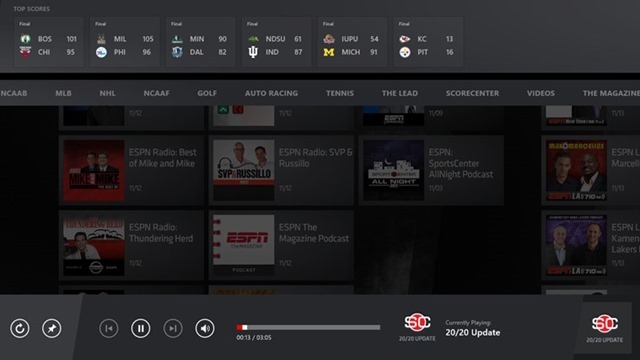 Would love an ESPN 3 app that had the Play To feature, so I could put it through the TV using the devices charm. I would cancel Xbox LIVE gold immediately if that happens.